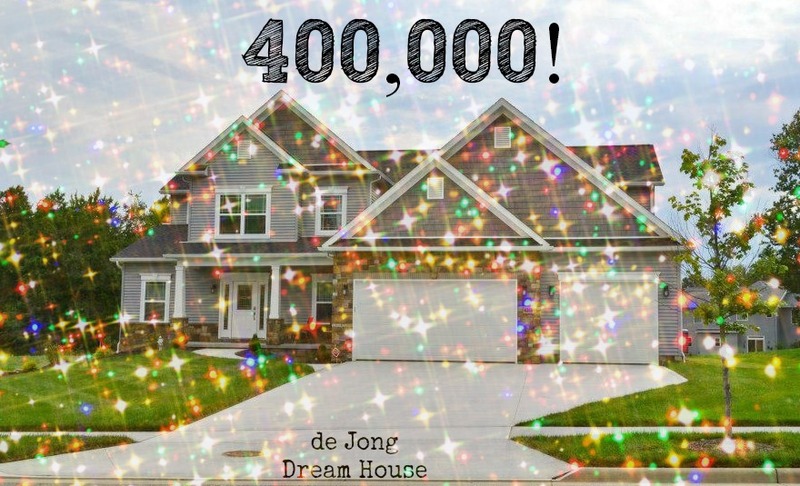 de Jong Dream House: 400,000! 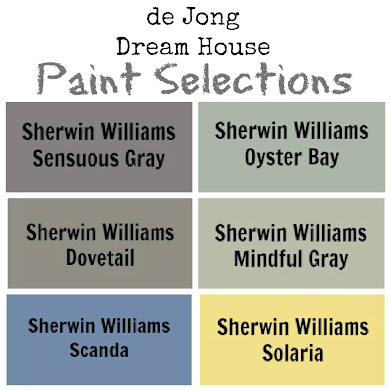 It's a big day here at the de Jong Dream House! We're celebrating 400,000 views here on our little home on the web. In our humble first post, we announced to the world our friends and family that we were going to start the process of building the most energy-efficient, earth-friendly, accessible house we could afford. 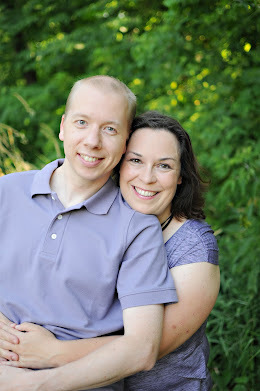 We hit our first big milestone on a big milestone in our personal life: our fifth anniversary. It was five months after we moved in and 14 months from our first post. 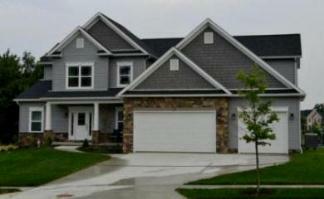 We learned that those who watched our house be built stuck around to see how we made our new house a home. Our most popular posts during those first fourteen months were My Perfect Pantry, Seeking Sole Mates Missing Sock Holder, and our Growing Up Gallery. 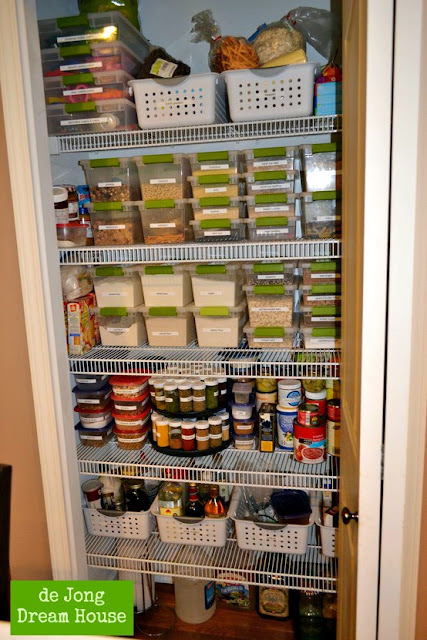 My Perfect Pantry was a peek into the pantry at our old house and my hopes for our new walk-in pantry. Our Seeking Sole Mates Missing Sock Holder is our most popular post ever. 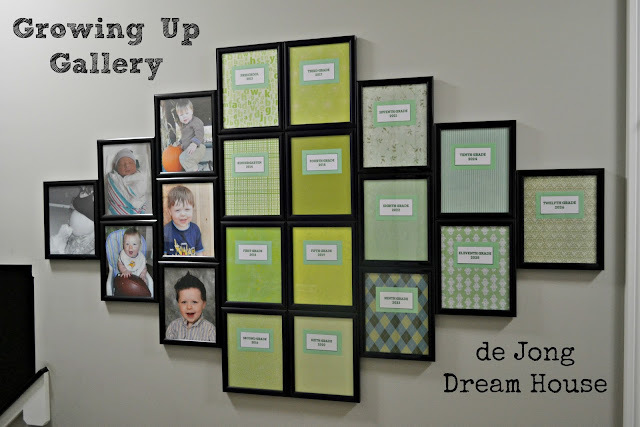 This gallery of frames ready to be filled with our son's school pictures is the most popular of our nine photo galleries. The others are our anniversary gallery, we do gallery, visual book shelf, heritage gallery, chair rail photo gallery, printable gallery, great moments, and mini-gallery. It took only six months (exactly!) to hit our next 100,000. 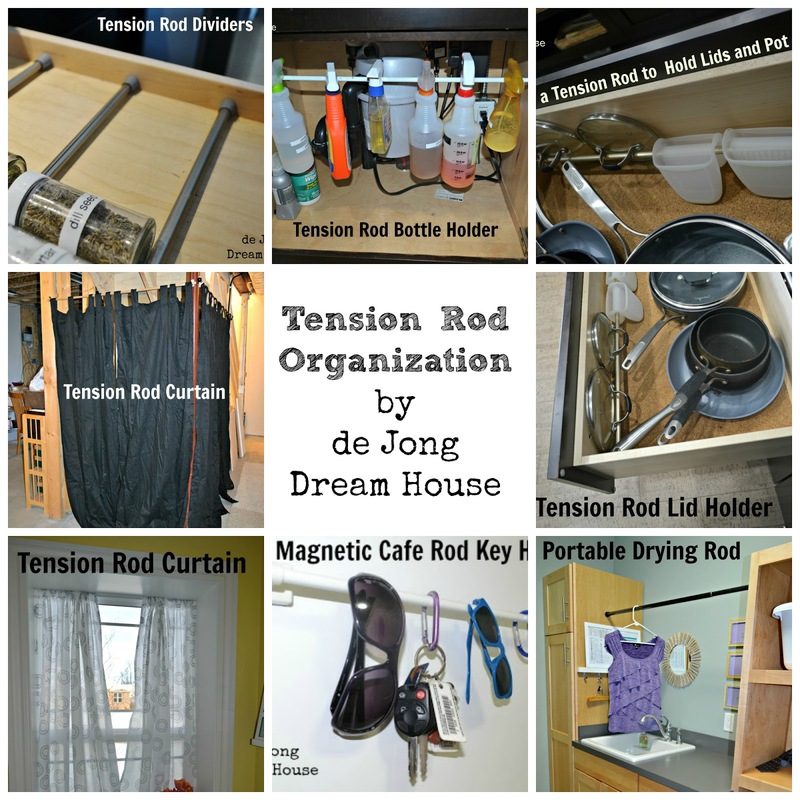 Our most popular post during this period was our uses for tension rods. Our readers loved to see how we started getting organized! This year we started to pick up speed. It only took 3-1/2 months to hit 300,000. 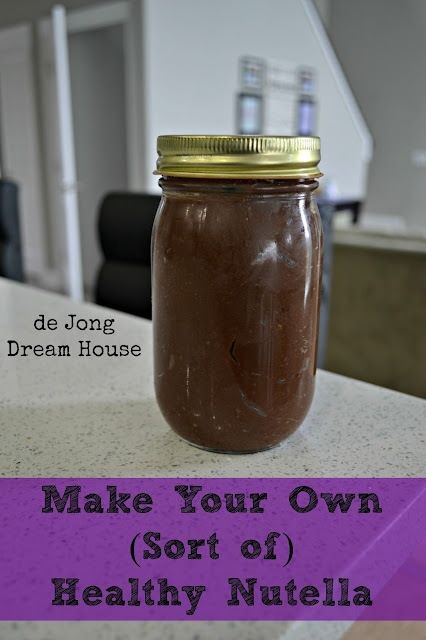 Our most popular post during this short period was my sort of healthy Nutella recipe, in large part to a feature by New Nostalgia. Here we are at another milestone. It took just over three months, which was a pleasant surprise because we were in Europe for a month of this period, and recovering from jet lag for a few weeks after that. Needless to say, we weren't as post-heavy during this period, but you loved my new craft table made from Ikea Expedits and an unfinished door. In the coming weeks, you can expect to see more peeks at my craft room as I work to get it organized. With our son starting all-day pre-K in a few weeks, you can bet that I will be spending some serious hours in my new favorite room. We also have some BIG news to share next month that will hopefully get us to that BIG half million mark a little sooner. Thanks to everyone who has followed along our journey. And if you really like what you see, you can also follow us on Facebook, Pinterest, Blog Lovin', Hometalk, Google+ and/or Twitter. …that it continues to a few 100.000 more views! I've enjoyed your blog and have followed along since I found you on I think gardenweb the home forum. I love your creativity. I will continue to follow your lovely family. Congrats! Congratulations on hitting such a milestone. I have to say my favorite part of your home is that fabulous craft room. 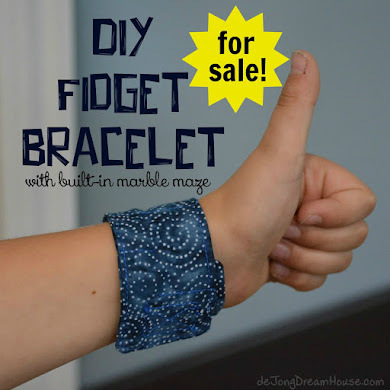 :) Thank you for sharing this with the Less Laundry, More Linking party.